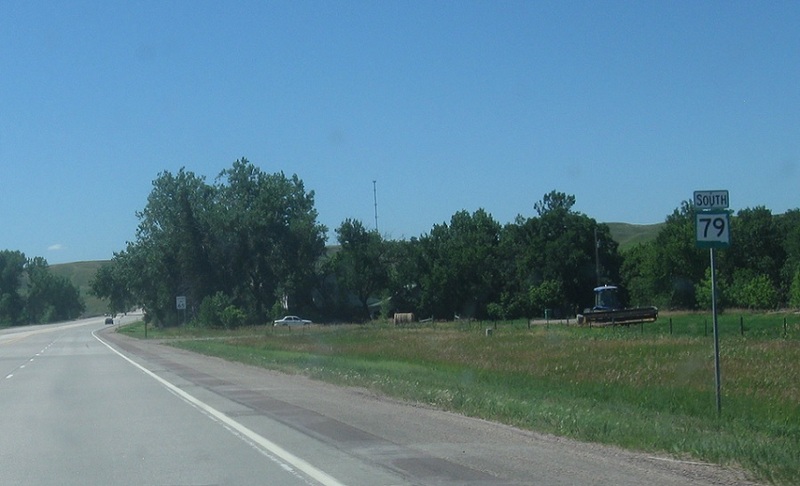 Reassurance shield after the 16 Truck split as we head out of Rapid City. Reassurance shield several miles south as we cross Spring Creek. 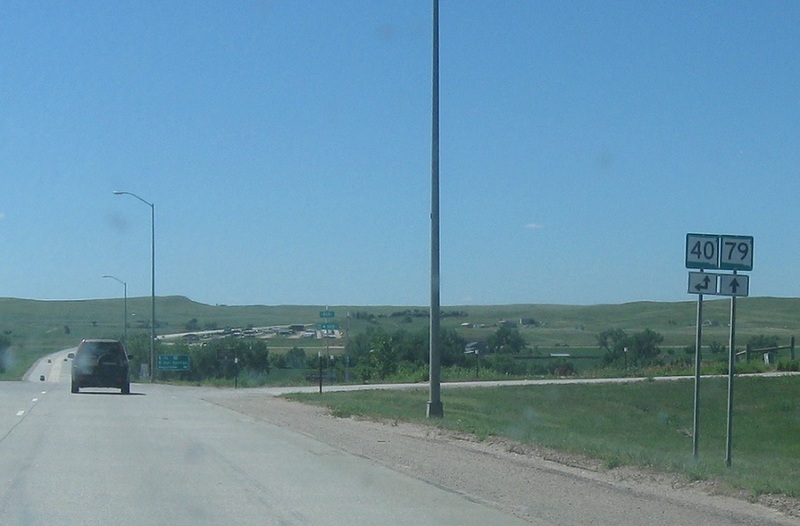 South Dakota 79 is South Dakota’s portion of the Heartland Expressway, and has been four-laned nearly all the way to the Nebraska border. A few miles later, we’ll enter Hermosa. 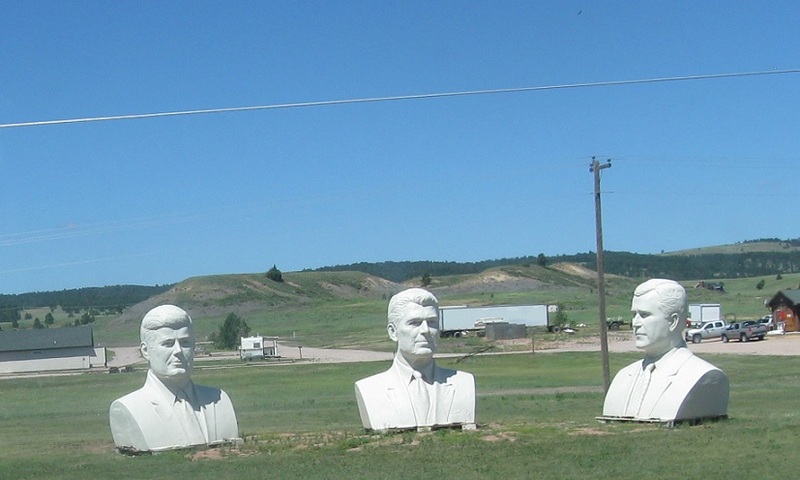 The fake, tea party Mount Rushmore is visible to the right. 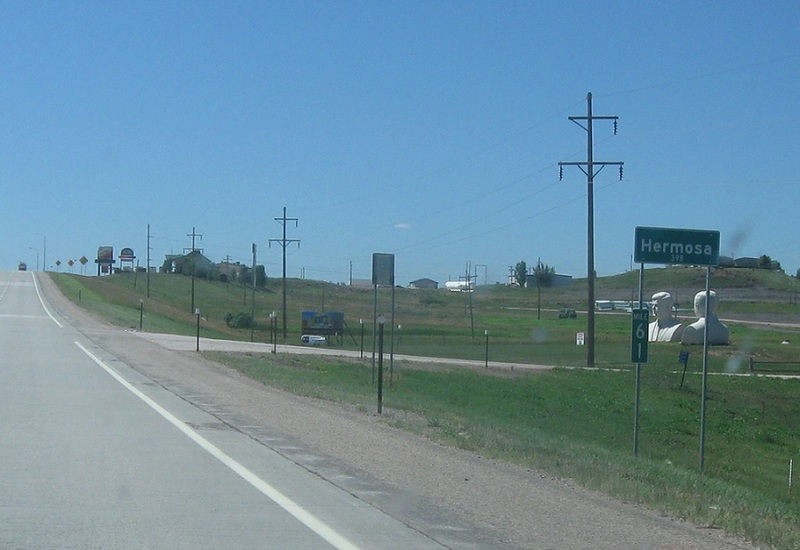 In Hermosa, turn left for SD 40 east. 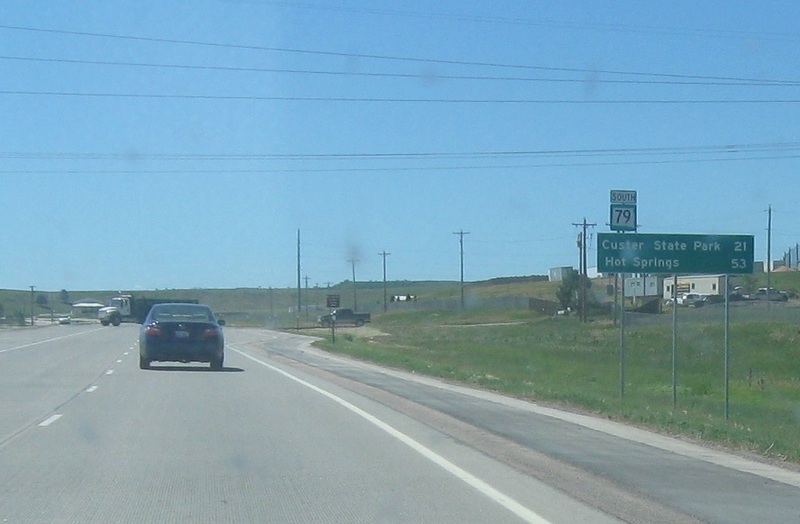 Stay straight for 40 west and 79 south, which concur for a couple blocks.